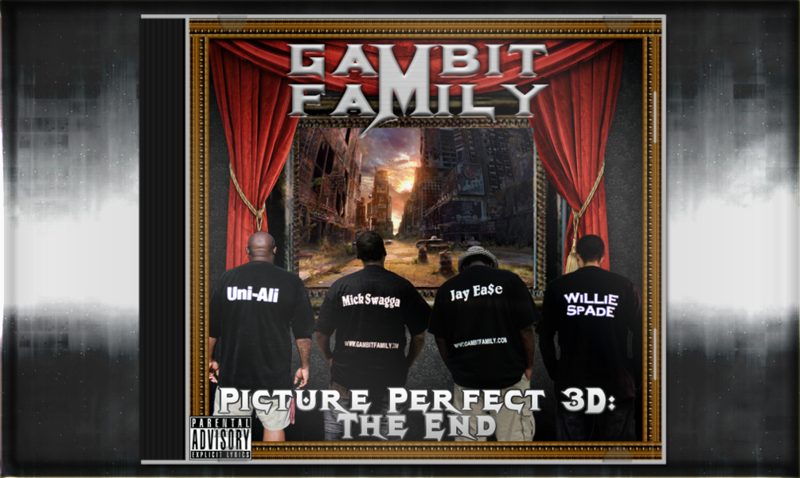 Picture Perfect 3D: The End is the final installment in the Picture Perfect Trilogy. The success of the first Picture Perfect titled “The Negatives” motivated the group to create a double album. It was later decided delivering that amount of content would be more detrimental to the group and the projects were released separately. Coinciding with the end of the Mayan Calender that conspiracy theorist had called the “End of the World”. It was only fitting to release the final project of this legendary trilogy on this date. Using less producers on this outing the group pursued a more mature project and display the growth of the group. PrinZe makes a rare appearance in “I’ve Been On” and a surprise appearance on the “Blow It All Away” remix that was kept secret from the group until the release of the album. An aggressive promotional campaign was launched to promote the project and a little under a week. The album has received rave reviews from critics and fans alike mostly embracing the solid performances and the intelligent and more adult approach to the concepts and subject matter. This is definitely a pleasantly developed ending to a historic underground trilogy and a must hear by fans of all genres of music. Posted by Adminstrator in Group on February 15th, 2014. This post has Comments Off on Picture Perfect 3D: The End.